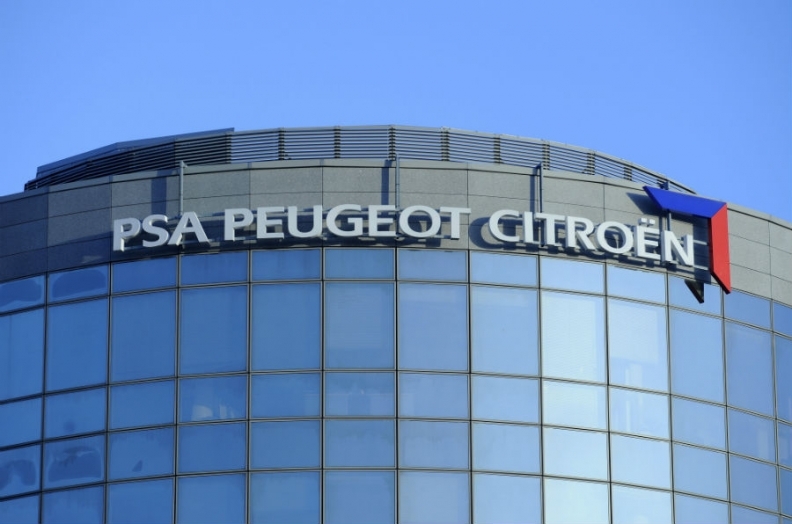 PARIS (Bloomberg) -- PSA/Peugeot-Citroen and its long-time Iranian partner will invest 400 million euros ($435 million) in the next five years upgrading their auto plant near Tehran in what the French automaker says is the first industrial accord signed by a western company since economic sanctions on Iran were lifted this month. The venture with Iran Khodro will produce 100,000 vehicles a year starting in late 2017, with output eventually doubling. The revamped factory, which opened about 50 years ago, will make Peugeot's 208 hatchback, 301 sedan and 2008 crossover. "This strategic agreement turns the page on the period of international sanctions and enables PSA and Iran Khodro to start a new chapter in their 30-year history of cooperation," PSA CEO Carlos Tavares said at a Paris press conference. The accord was announced during a visit by Iranian President Hassan Rouhani to Paris, where he's also expected to sign contracts to buy airplanes and upgrade his country's airports. PSA withdrew from Iran in 2012 as a result of sanctions over Iran's nuclear program, though Khodro continued to produce cars under the French partner's name, mostly older models such as the Peugeot 206 and Peugeot 405. Khodro, which was founded in 1962, built about 350,000 Peugeot-branded cars in 2014, accounting for about a third of Iran's automobile market. The Iranian market reached 1.6 million cars in 2011, and then fell below 1 million vehicles as sanctions cut into consumer spending and a lack of important components crippled local producers. Demand could recover to 1.6 million autos in two years and reach 2 million annually by 2022, according to PSA. Tavares said there are at least 3 million Peugeots on Iran's roads, and the company's first task is to provide their owners with the latest spare parts. Peugeot sold 458,000 vehicles in Iran in 2011, the year before the carmaker ended ties, and the country was its second-biggest national market after France. The pullout from Iran cut 10 million euros a month from earnings in 2012, contributing to PSA's full-year loss of 576 million euros. Tavares said last year that resentment in Iran from the carmaker's departure was hampering an agreement on its return. PSA executives said they had been negotiating their return to Iran for the past 18 months under the expectation that Iran's negotiations to end sanctions in exchange for limits on its nuclear activities would succeed. The International Atomic Energy Agency determined in mid-January that Iran had curbed its ability to develop a nuclear weapon. French competitor Renault plans a "much more massive" presence in Iran when it returns to the country, CEO Carlos Ghosn said in an interview a week ago. Dropping out of the market in response to the sanctions cost the carmaker 514 million euros in 2013.